Meet current Players, get their autographs, and chat with them while enjoying delicious hors’ d’oeuvres and cocktails! 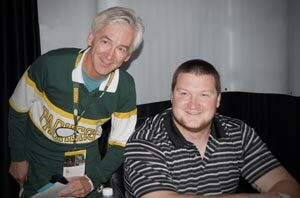 Sports expert and radio personality Chris Havel also digs into the hot topics with the players with an exclusive question & answer session. 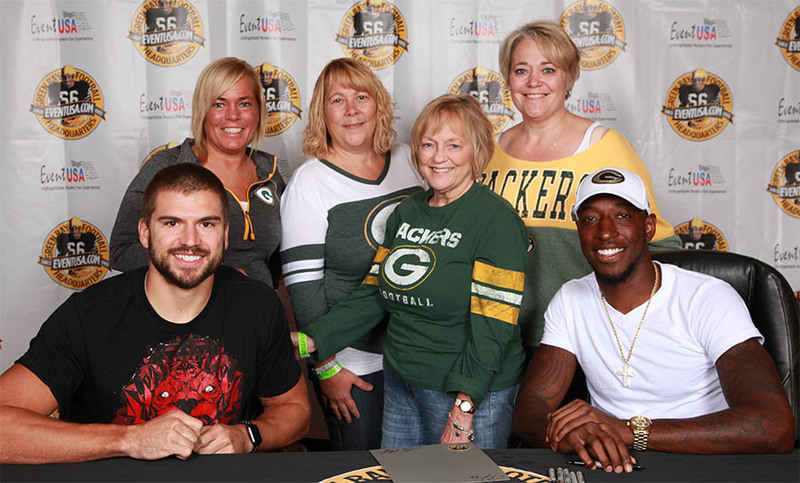 Autograph & Picture Session – Event USA will provide you with an aerial shot of Lambeau Field for the players to sign. If you prefer to bring your own item to sign, please feel free to do so. Included with our Gold Package, but now also available by itself or as an add-on to any package! Includes all of the features above, plus drink coupons and an item the players can sign. Child pass is for kids 12 and under and must have one adult companion. Buy it with a Package & Save! Choose to add the Party when you order our Silver Package, Lodge Kohler or Bronze Package, and it’s only $59 per person (save $30/person)! If you purchase it when you buy our Ticket & Tailgate Package, it’s only $79 (save $10/person)! Players listed are tentatively scheduled to appear. Schedule conflicts, injury complications, personal reasons, or other circumstances may require the substitution of a different guest and we reserve the right to do so at any time without notice. Please note we guarantee appearances by 2 players, either current or alumni players, and/or other celebrities, at each party. While we list for some dates more than 2, in the event one of the guests cannot appear, we guarantee at least 2 appearances will be made at each date by other players or celebrities. Looking for our reception photos? You’ll find current reception photos here.